Stopped by to say Hi as promised. Loved the dressage photos. Super impressive. What a treasure to have such skill! Was that the pretty paint you were talking about? I can’t ride well or write well, but I think if a genie came out of a bottle and gave me the choice of the two, I’d take ride if it was for my own happiness, but I’d feel like I should chose write because that’s for others, not myself. But there’s no genie, so I guess it’s moot. Thanks for dropping by. I’m glad you enjoyed the pics. No, the Paint in this picture was another one I used to train and show. But he was a good boy too. I began my life at the tender age of 11 with a love of writing. 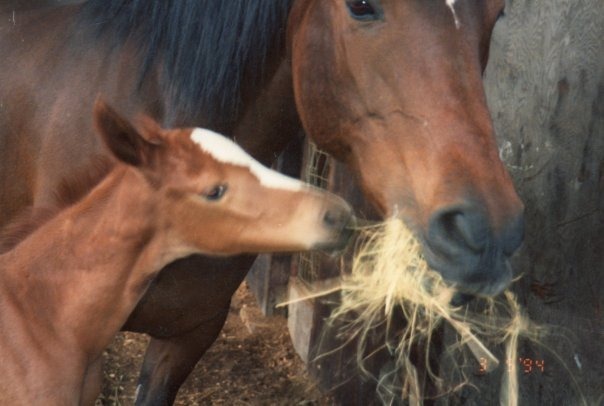 Wrote my first horsey novel around that time and a couple of SF short story. But my love of horses took over and I spent the next thirty years chasing Olympic dreams. I didn’t quite get there, but boy did I have a blast trying. 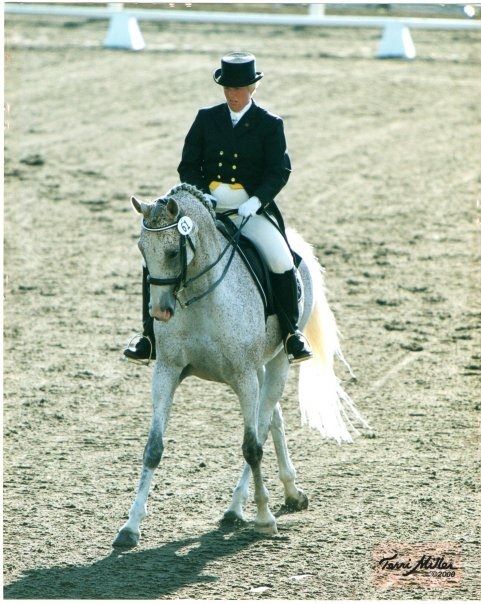 Too many unplanned dismounts left me too crippled to be competitive and I decided to go back to my first love, writing. It’s not easy after so many years away from school, but I’m nothing if not determined. Never paid much mind to the old saying– “You can’t teach an old dog new tricks.” Wanna bet? I love a challenge. But I can honestly say, of the two, and they both took a lot of discipline, writing is the more difficult. I look forward to reading some of your work. I’m sure I’ll see you at YWO, one of my favorite writer critique sites.